Every year when YALSA’s book awards and book selections lists are announced, there are invariably a few titles that appear multiple times; the 2013 announcements were no exception. 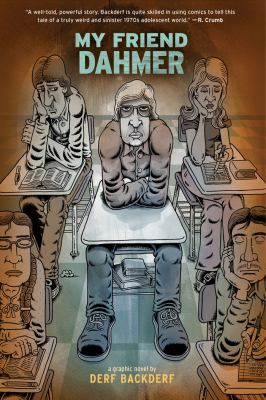 One of those books was My Friend Dahmer, a graphic novel memoir by veteran independent comic writer and illustrator Derf Backderf. 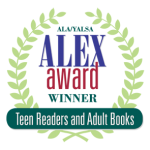 In addition to receiving an Alex Award, the book was selected as a Top Ten title for both Great Graphic Novels for Teens and Quick Picks for Reluctant Young Adult Readers. Derf was kind enough to let us interview him. First off, congratulations on the phenomenal success of My Friend Dahmer. Did you have any idea it would make such an impact when it was published? I was confident it would be a big book, if only I could find someone willing to publish it. I’d experimented with the story before, starting with some short stories in the mid-Nineties and then a 24-page, self-published comic book in 2002, and the reaction to these much smaller efforts was so positive that I knew, if I put together this definitive incarnation correctly, that it would be something special. Despite that confidence, I had all sorts of problems finding a publisher willing to take it on. 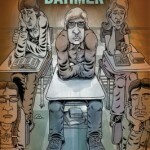 My Friend Dahmer was, at one time or another, rejected by virtually every comix publisher in the biz. I freely admit to gloating now that it’s a bestseller. You have been writing and drawing comic strips for 20 years. Why did you wait so long to tell this story? Oh, several reasons. At first, I struggled with writing this story. Keep in mind, I was lugging around some emotional baggage myself here. Later, after I got my head straight, I wrestled with the process of creating a book-length work. At that point, I was doing only single-panel cartoons and comic strips. I had never tackled anything longer. And since I was a humorist, and obviously this is a very dark tale, that was something I had to work on as well. There were also other projects I wanted to do first. This isn’t my debut graphic novel, it’s my third. Trashed and Punk Rock & Trailer Parks were both critical hits, so I didn’t feel any urgency to rush out My Friend Dahmer, since I had those other tales I wanted to tell. I hoped to establish myself and have a body of work. Not only because I needed to master the craft of long-form graphic narrative, but because I didn’t want My Friend Dahmer to define me right from the get go. I knew it would be my best known work, but I wanted to have other books that were worth reading, too. The fact that My Friend Dahmer showed up on three very different YALSA award and selection lists makes it clear that many different types of readers will be drawn to it. Did you ever consider that your book might find a big teen audience? My publisher always felt there was great YA potential there. It is, after all, about much more than an emerging fiend. It’s also about high school, and fitting in, about friendships and how teens treat each other, about the indifference of the adult world and how adults consistently fail to penetrate the teenage society. I purposely made this a PG book, so I must have been thinking along those YA lines. You read the title and the first thing you think of is: murder, cannibalism, necrophilia, heads in the refrigerator. But there’s none of that in My Friend Dahmer. The book ends on the day he kills for the first time, a murder that occurs off-camera. There’s no real violence at all in the book. There’s not even any swearing! That was by design. I like surprising readers, and when you get to the end of this book, the reader realizes he’s read something very different than the story he expected. True crime is a subject of perennial interest to many teens. Why do you think that is? Look around. We live in one of the most violent societies on the planet. Why wouldn’t kids be interested? You have a very distinct drawing style. Did you approach the artwork for this story any differently than your other work? My style has evolved quite a bit since I moved to graphic novels, without, hopefully, losing the visual root that identifies me. My cartoon and comic strip style was a lot more exaggerated and expressionistic. A punk Don Martin, a critic once described me, which I took as a compliment, whether it was meant that way or not. I liked drawing that way, but it was too limiting for longer, more complex work, so I changed. 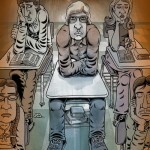 What you see in My Friend Dahmer is the style I developed fully in my last book, Punk Rock & Trailer Parks. I’m happy with it, and quite a few reviewers have lauded the art, so I feel good about that. I adopted a very conservative approach for My Friend Dahmer. No fancy panel layouts, no visual acrobatics. The story is so powerful and compelling on its own, my main goal was to stay out of the way and let the story itself do the work. It’s certainly the best drawing I’ve done to date. I’m very much of the “indy comix” tradition. It’s not realism, nor is it the derivative style you find in mainstream super-hero comic books, but I think it works pretty well. I may or may not stink, but no one writes like me and no one draws like me. I’m proud of that. And the printing is top notch. Abrams did a beautiful job on this book. Graphic novels have become an increasingly visible and respected format. What do you think we can expect to see in future publishing trends? It’s certainly a golden age of graphic novels right now. Each and every month sees several releases that are simply incredible. I have no foresight into what awaits the publishing biz. I know lots of folks are worried. But if you’re a fan of graphic novels, enjoy this era. There’s a lot to read. Can you let us know what you are working on now? Right now I’m putting together a collection of short stories, non-fiction tales I’ve done regularly over the past 20 years. I’m calling it American Stories, because they’re just that: little tales I’ve observed as I’ve wandered the streets and suburbs. Some are funny, some troubling, some sad, and some are provocative. 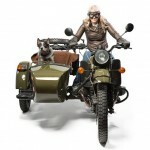 A few were published before as mini-comics or in comic strip form, but some have never been seen before. I think of it as a comix diary. One man’s take on living in this messy, noisy, bizarre society. Then I’ll start work on the next big, original project. Work until you die, that’s my mantra.